I arrived in Germany on the 2nd of July. Berlin has been remarkably temperate, featuring temperatures around 72° - 76° F (22° - 25° C). My apartment is in a wonderful part of town which straddles the Charlottenburg and West Berlin line, and there is a very fine coffee roaster right next door (which I visited for the first time yesterday and was surprised to see a 25 page menu featuring all their different roasts and brewing methods). 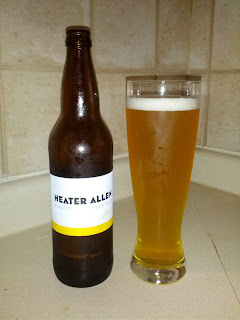 But as this isn't a coffee blog, allow me to continue onto the beer. I had been warned by several people in-the-know that Berlin isn't a great beer town. Not to be deterred, I assembled a map of every brewery and bottle store, and, naturally, hit up one of these bottle stores on my first day. I picked up several interesting looking beers, including one curious looking Pilsener which I tasted yesterday afternoon. I am a sucker for good labeling, and this label was among the most unique I've seen: a solid black label with small white lettering, I had to read it several times before I could figure out who the brewer was. The answer? "Premium-Bier." Talk direct and to the point! There is no entry for them on either Beer Advocate or Rate Beer, and their website doesn't reveal as much as I would have hoped (and my German is not terribly great to begin with). 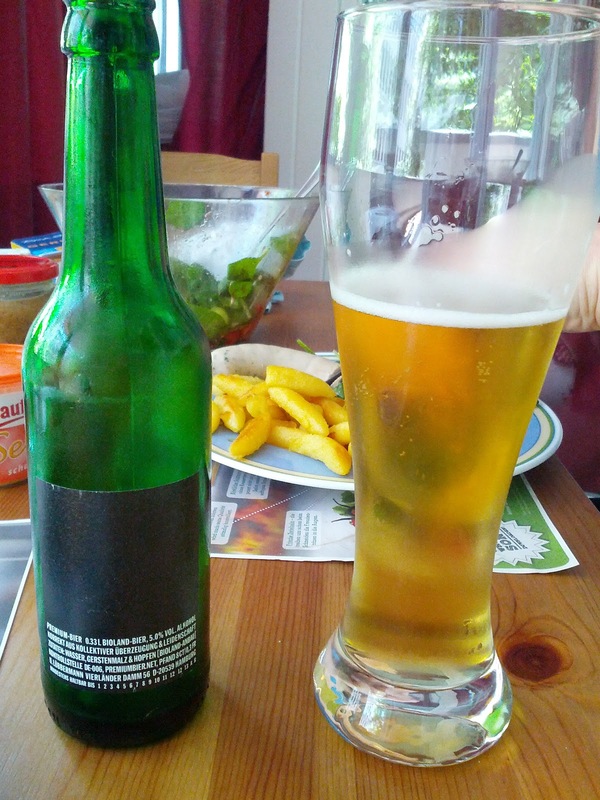 But from what I can gather, they are a tiny 100% organic soda and beer brewery based in Hamburg. All of their ingredients are hyper-local (the hops are grown 3km away). A humorous and honest moment on their website: they apologize for not being 100% vegan because they need to use glue for their labels, explaining that they are simply too small to be able to afford vegan labeling. As for the beer? It certainly delivered. As it sits and as I eat my lunch, the darker side of the pils falls away as it is accompanied by food, and I get an easy drinking, very smooth Pilsener. In all, a mighty fine Pilsener that is arguably the best pils I've had on German soil. 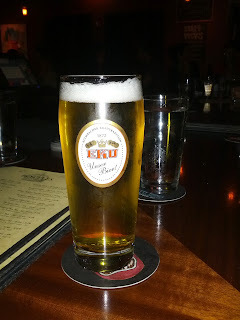 Also worth quickly mentioning are a couple of Pilseners I had prior to leaving the States: EKU (Kulmbacher Brauerei, Germany) and Heater Allen (McMinnville, Oregon). a bit fruity, a tad herbal, goes down easy. This afternoon, it's off to Brauhäuser Lemke. Stay tuned.